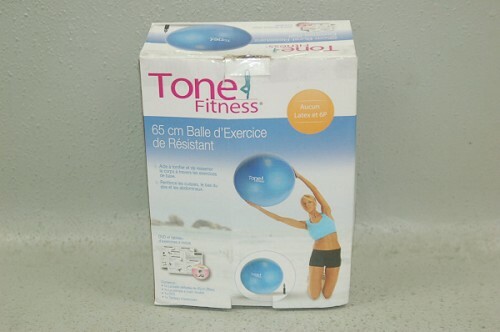 Stay fit and balanced with this Tone Fitness 65cm Anti-burst Stability Ball! 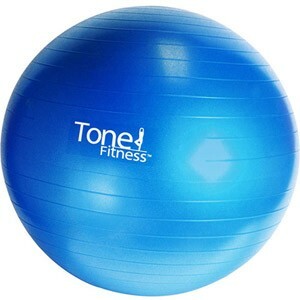 It is an effective solution for core conditioning, balance training and spinal stabilization. 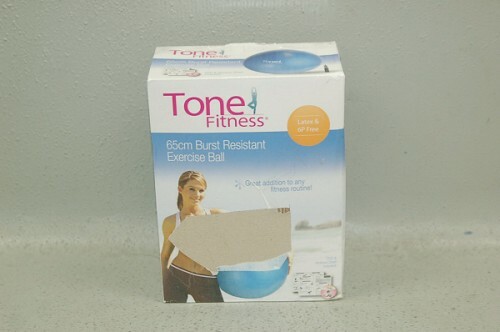 It can also be used in yoga, Pilates and fusion exercise programs to strengthen your abs, back and buttocks. 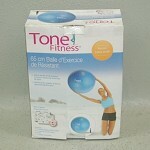 This exercise ball, it features a durable, burst-resistant shell for a confident total body workout. 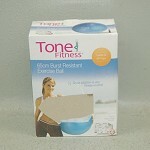 It is designed to slowly deflate if punctured so you can exercise with confidence. Perfect for core exercises, the ball can be conveniently used at home!